Happy Sunday everyone! Last night I stayed up till three to change up my layout a little bit. "What's the difference? ", you asked. "The width is a little wider to allow bigger thumb nails and slide shows on the main page! ", I said. Please let me know what you think about this change. Do you prefer what it looks like before? Or do you like the new one better? 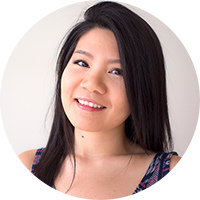 I'd like to make my blog more visually appealing, so please help me get there! Thanks! Anyway, I'm not too sure if I'm glad it's Sunday, because that means tomorrow I have to get back to work. This week had been pretty crazy at work. I stayed late every night to finish a request by Monday. When I get home I managed to blog, but it's always kind of late at night. So did you miss any of my posts this week? Let's rewind! I placed my first order with PinkyParadise.com during New Years because they were having a sale. As a new lash addict, I want to try some popular lashes available in the Asian market, so I decided to pick up a few from two of the best selling brands: Diamond Lash and Eyemazing. 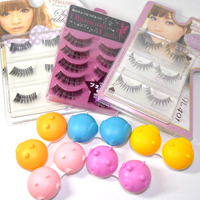 Pinky Paradise is a online shopping website for colour lenses, accessories, and Asian cosmetics. They mainly focus on colour lenses, so I ordered all four lenses in the Princess Mimi/Bambi Series, which are produced by the very cute and popular Japanese model Tsubasa Matsukawa. I also got a pair of pink lenses because they were available in my prescription (they're pretty hard to find). Visit the haul post for more details! Essie In Action: Weak Nails Saver... or Not? Nails can become weak and brittle due to diet, dehydration of hands, or other problems. I like to think that I eat pretty healthy (balanced, at least), and I try to moisturize my hands very often. So I have no idea what is causing my nails to break. I have never done any treatment for my nails but I do wear nail polishes very often. So I decided that I should start using a nail treatment in an attempt to fix this problem. When I finally found Essie Grow Stronger Fortifying Growth Treatment at a not-so-local Walmart, I immediately purchased it. This week, I will be testing out this product to see if it can live up to its claim =). See this post for details. The newest addition to Benefit Cosmetics' Box O' Powder line is their Hervana Box O' Powder. 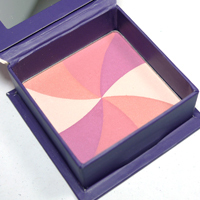 They said that this blush is a "good karma" powder, and it will give you an angel's glow. Everyone was going ooh and ahh about this blush. I jumped on the bandwagon and bought it because it's so pretty. The combination of the swirl gives a very pretty baby pink. And when it's on the skin, it gives a pinkish glow. It's pretty angelic. So will you jump on this bandwagon? Click here to read more about "Hervana". 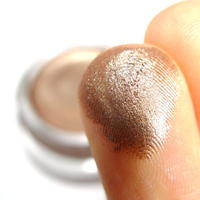 There has been a lot of buzz about the Maybelline Color Tattoo 24Hr Eyeshadow. It is a new line of cream gel eyeshadow that Maybelline has claimed to provide a 24Hr of wear without budging. Some says this is a cheaper version of MAC Paint Pot... To that, I would have to say "No", because I think it is better than Paint Pots in some ways. First, it's more creamy and thus easier application. Second, it doesn't crease on my oily lids like Paint Pot will. Third, it's 3 times cheaper... I can probably go on for more, but you get the idea. Check out my review and see more photos and swatches here. All these years, I have been disappointed by a lot of different drugstore eyeshadows. In my experience, they're lack of pigmentation, full of fall out, and they do not stay put throughout the day. 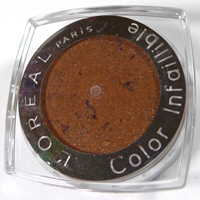 But drugstore brands have really been up their game lately, and L'Oreal has come out with Infaillible Eyeshadow. Although application might not be the most convenient, the colour and pigmentation have win me over. I heard there are more new shades coming out (or have I already got the new shades? LOL). Anyway, see this post to see which shades I got and the details of the product =). Finally an OOTD! I miss posting about fashion but I like to take my pictures outside and while it's still bright. Usually when I head to work it's alway very rushed, but by the time I got back it's already all dark outside. My only chance is the weekend, which... still pretty dark outside lol. I decided to throw on some casual sweatshirt with leggings and UGGS, because, for one, it's cold and, for two, I have a lot of moving to do. 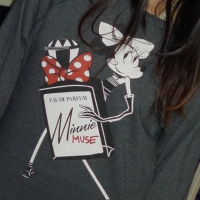 This Minnie Mouse shirt is one of my go-to sweatshirt, I actually have another go-to sweatshirt that is also Minnie Mouse lol... I'm such a child (or I try to stay that way =P). Click here to see what I pair with this sweatshirt. Last Sunday, I was going to take tons of picture to show some product in action (pretty much like the Essie post), but it did not happen last week because I was busy helping my mom to run errands, and by the time I get back it's already very dark outside... But I can still do indoor product photos, and hence all those reviews.